Two new videos from Japanese player Keigo Akita…one featuring himself and the other featuring Hiroaki Yoshii. Both videos have some nice trick construction and some really clean play. Enjoy! 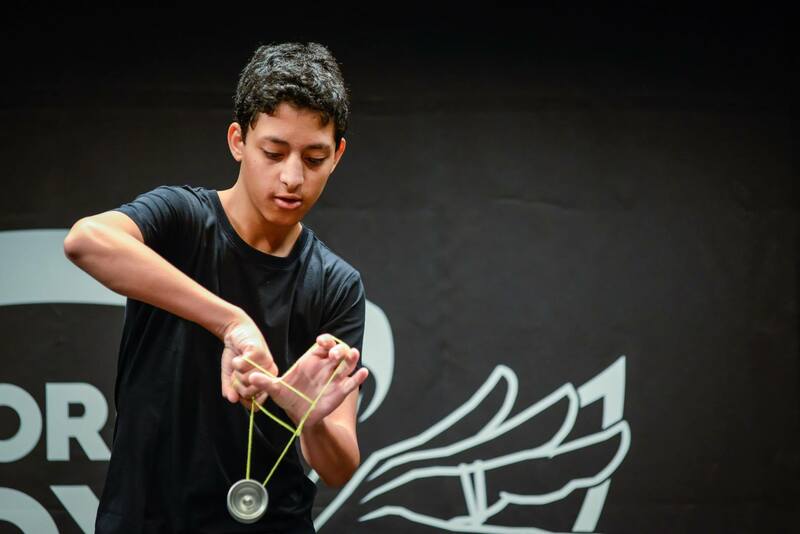 Yoyos used are the Antagonist by YoYoMonster (Hiroaki-san) and the Diffusion by YoYoRecreation (Keigo-san). Dennis Cinquegrani has only beeing throwing for a year; after watching this, I’m looking forward to Year 2. 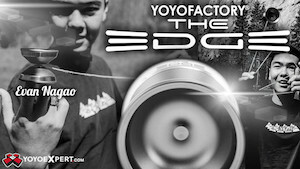 Yoyo used is the Ratchet by Sorry YoYos. Japanese player Toshiya Oda shows off some clean technical play in this new video. 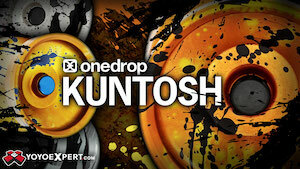 Yoyo used is the Yelets by One Drop. All the way from Turkey, Vosun dropped a new promo video for the Aethyr featuring team member Ruchan Akyuz. Nice work! Yoyo used is the Vosun Aethyr. 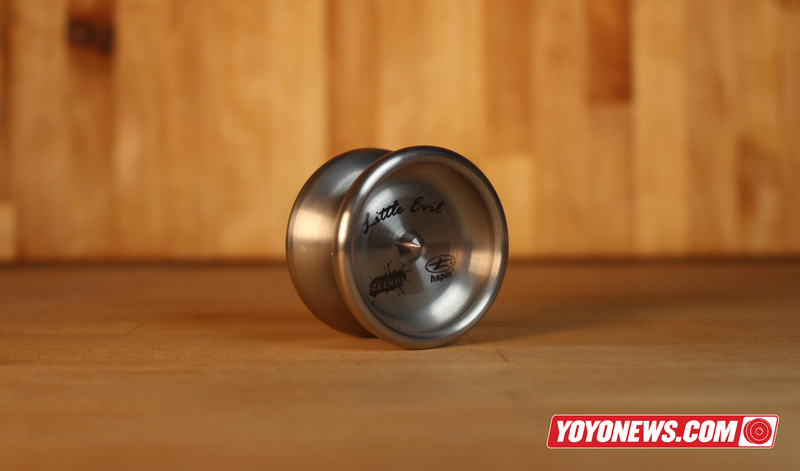 The Little Evil is the final release from European yoyo designers HSpin, brought to you by the folks behind YoYoZeekio. You’ll remember that HSpin, one of the earliest manufacturers to produce high-end, limited edition metal yoyos, closed their operations in December 2012. After selling off some leftover inventory, HSpin founder Chris Kayatz continued on with his new career and family, and seems to be doing quite well…although apparently the lure of just one. last. release. was too much for him, so we get this odd little gem based on the Good & Evil, one of HSpin’s most iconic releases. The HSpin x Zeekio Little Evil is the very definition of a pocket yoyo! So small it can easily fit in the 5th pocket of your jeans, but with the play value of a much larger yoyo, the Little Evil is an amazing novelty yoyo that packs a punch. Ultra-small yoyos rarely have the performance power to be a true “everyday carry”, but the Little Evil can handle pretty much any modern tricks you can throw at it…with the added bonus that hitting your hardest tricks on something this small makes you feel extra accomplished. 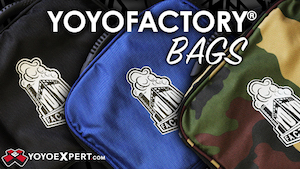 The Little Evil packs full-size play into an ultra-small steel body, and will easily become a second everyday throw. Full-sized stainless steel yoyos are impossible, since the metal is so much heavier than aluminum. But what would make for an unplayable yoyo in a full-sized model works perfectly when you scale the yoyo down! 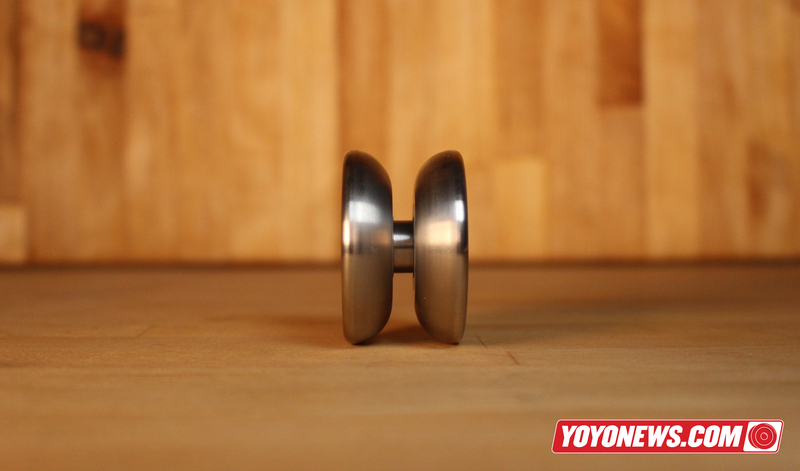 The added bonus is that a raw steel yoyo really does look fantastic…there’s an industrial feel that is totally unique to raw steel and the result is a yoyo that stands apart from the pack in both size and looks. This is the last new release you’ll ever see with the HSpin logo engraved on it…collectors, take note! The HSpin x Zeekio Little Evil retails for $60, which isn’t bad for a solid steel yoyo that is fully playable in an ultra-small size. There is nothing else like this on the market, and the unique size and play make this well worth the price.